Auburn had itself a pretty good rivalry going with Tennessee once upon a time. Ol’ Shug, especially, always wanted to stick it to the Volunteers. So combine that with the improbability of a starless Auburn, picked last in the SEC, upsetting No. 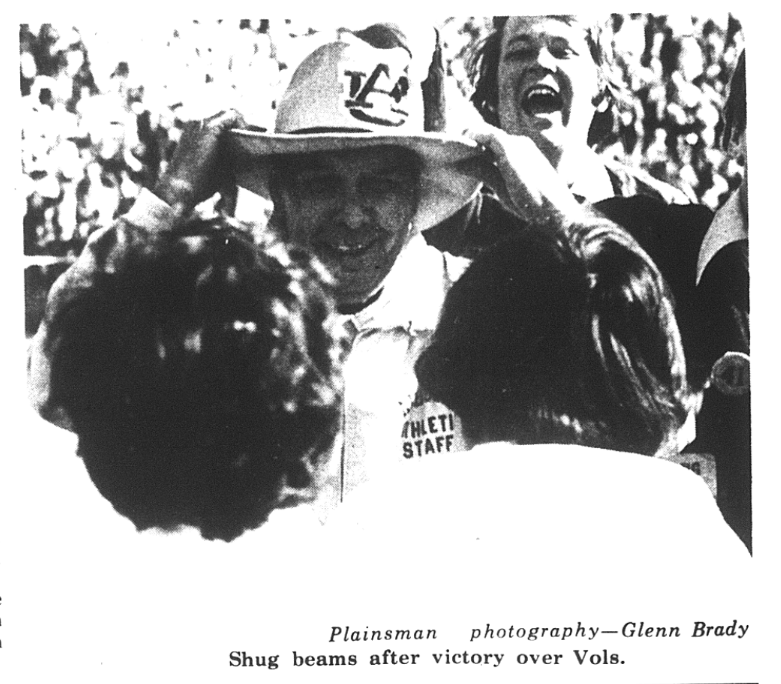 4 Tennessee in 1972 (watch the whole thing here) and hey, you have yourself a photo of Shug in a cowboy hat (as opposed to his traditional houndstooth hat). Shug’s spicy sentiments should also explain that towel twirling (talk about TERRY cloth…) at the 1970 game (which you can watch here).